Stir Fry is one of my favorite meals on the planet. I've been making this recipe for years and have adjusted it to make it my own. 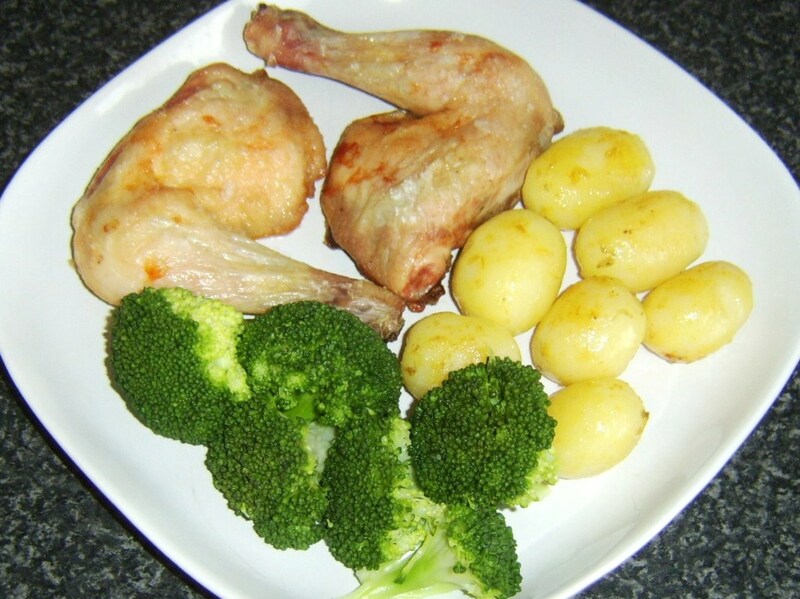 I prepare this chicken and vegetable recipe at least once a week and never tire of it. The best thing about cooking stir fry is that it's delicious as well as healthy. I serve my stir fry with white rice or noodles on the side. I hope you enjoy this delectable ensemble of ingredients. Set burner to medium- medium-high. Bring 1 tablespoon margarine or butter and 2 cups water or chicken broth to a boil. Measure 1 cup white or brown rice and add to boiling water or broth. Turn burner down to simmer and cover with lid. Cook rice for 15 to 20 minutes and set aside. In a second pan, par-boil baby carrots until soft; set aside. Thaw chicken breast's in microwave. Rinse and pat dry with paper towels. 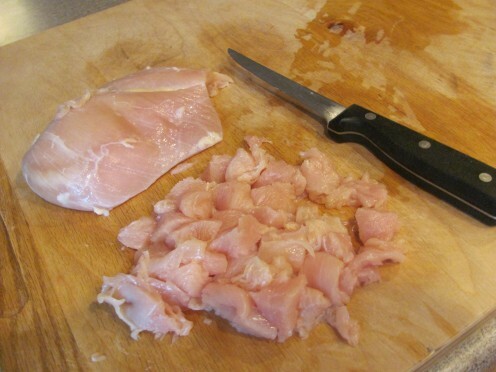 Cut chicken into chunks or slices; set aside. 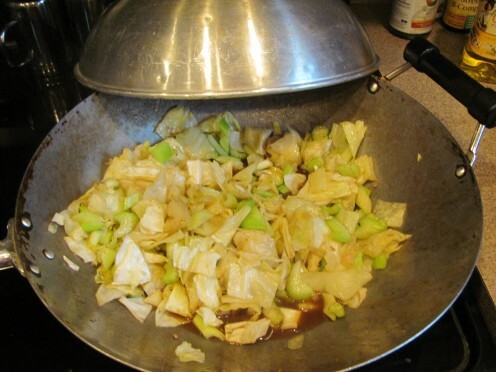 Put olive or vegetable oil into wok and set on medium-high. Add chicken and Teriyaki sauce (to taste) and cook until juices run clear; set aside. Chop onions, bell peppers, mushrooms, celery, cabbage, carrots (unless your using baby carrots), broccoli and cauliflower (unless your using packaged florets). Prepare packet of stir fry seasoning mix according to directions. Usually you mix the powder with water and stir. If using stir fry sauce, follow directions as to amount. I add 1/4 cup of each sauce I choose. Turn stove burner to medium-high. 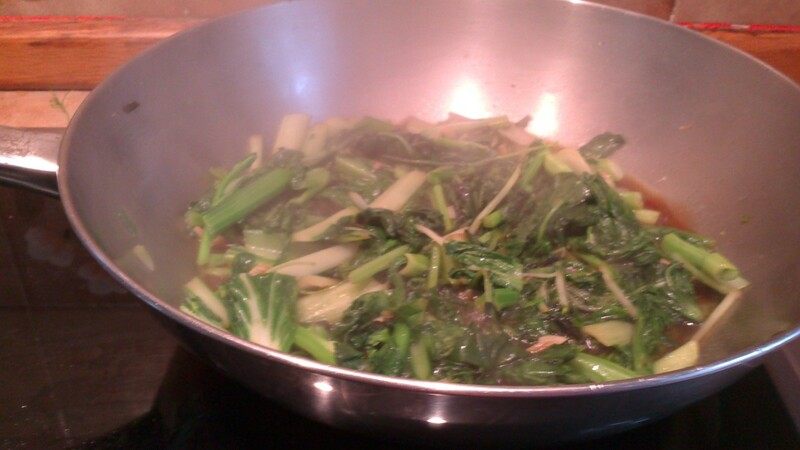 Pour sauce mix into stir fry pan and begin adding vegetables. Start with crisp vegetables first such as cabbage, followed by broccoli and cauliflower. End with softer vegetables such as mushrooms, Onions & Snap Peas. Don't forget to add can of bamboo shoots and baby corn. Add your prepared chicken and carrots to pan. Cook all ingredients for approximately 30 minutes (or until vegetables and chicken are soft and hot). Stir ingredients throughout cooking process for best results. 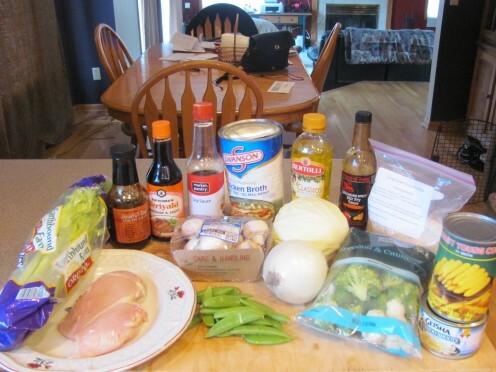 Serve chicken stir fry with side of rice or noodles. Season chicken stir fry and rice with soy sauce. Note: You can add chicken broth to your sauce mixture to enhance flavor. All good cooks have learned through experience that measurement and ingredients should be flexible. This recipe is my favorite stir fry but isn't necessarily everyone's. Give yourself the freedom to pick and choose the ingredients and sauces that work for you. 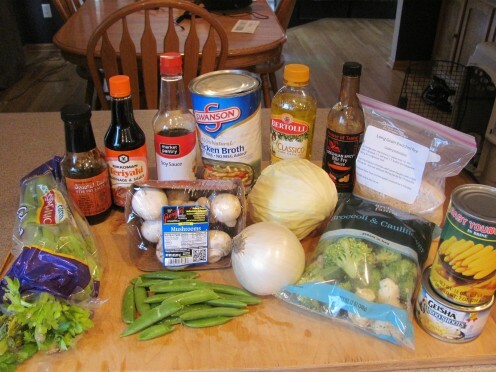 Think about your favorite vegetables, sauces, and side dish; then start cooking your personal version of stir fry. A delicious and easy cucumber salad recipe. I've tried every kind of cucumber salad and this one is my favorite. Thanks for checking in about this recipe. So excited to hear you loved it :) I appreciate the sweet compliment too. I tried this recipe and just went 'over-the-moon.' Absolutely delicious! 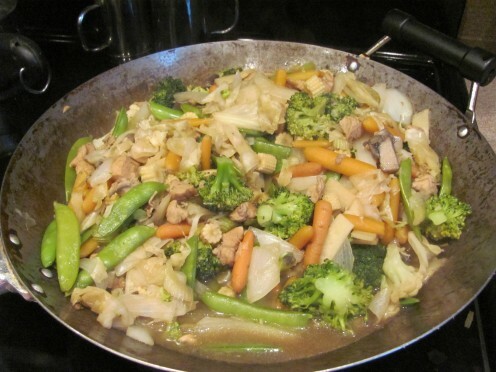 My pleasure vocalcoach-Stir fry is one of my favorite meals. My wok definitely gets a good work out. Enjoy your personal version of stir fry. LOL Shanmarie-Hope you got yourself some breakfast to tame the beast in your belly. I really appreciate you checking out my stir fry recipe. It's my all time fave! 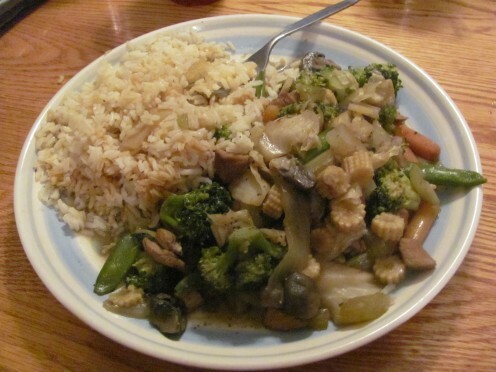 My pleasure ChitranadaSharan-I just love making and eating stir fry. Like you said, so nice to enjoy food that's healthy for you. I appreciate you coming by to check out my stir fry recipe. My pleasure Ruby. I actually made rice and noodles last time so the family could have a choice. I added a little of both and it was delicious. Thanks for coming by. Yummy! I love stir-fry. Thank you for sharing this great recipe. I'm a stir-fry lover. I'm also a vegan so I'd skip the chicken and go for tofu. Hi Linda, Nice to see your hubs again. 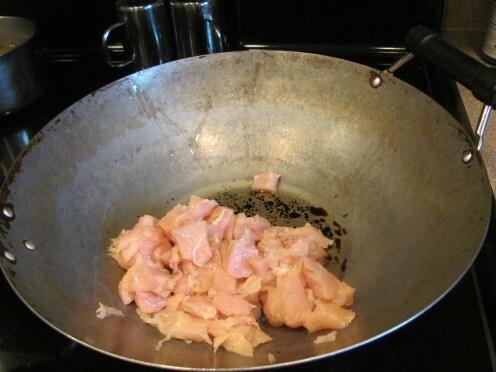 Chicken stir fry is a great dish and good for most diets. Our family doctor now wants me and my husband to cut way back on our carbs. 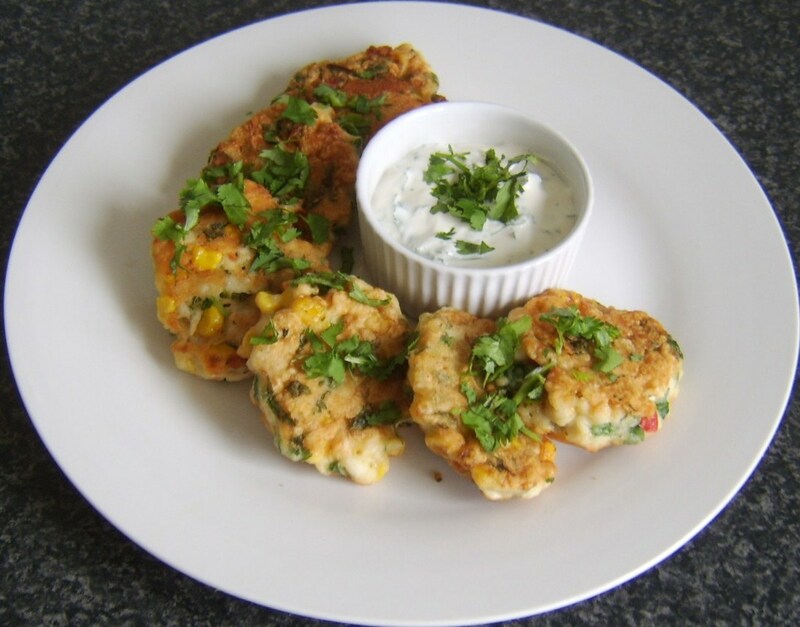 Except for the peas, this recipe is a great low carb dinner and filling. Thanks for sharing your recipe. Oh my gosh, that looks delicious! I probably shouldn't have opened this hub before breakfast. Now my stomach is rumbling! This is truly healthy and tasty and that is the good thing about stir fried recipes. I enjoy cooking and serving them. Very well presented hub with clear instructions and helpful pictures.